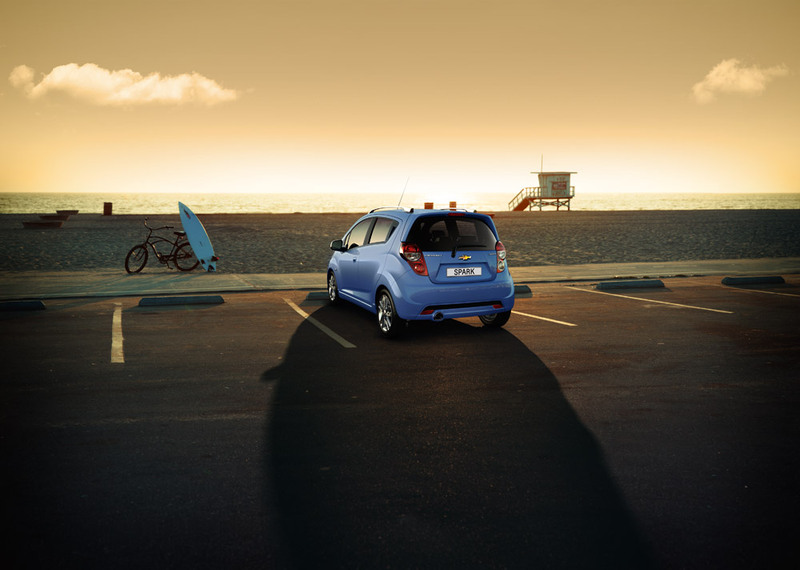 The 2014 Chevrolet Spark remains a pioneer for the minicar segment, becoming the first of its class to be named a Top Safety Pick by the Insurance Institute for Highway Safety (IIHS) after only being eligible for the award for one year. In order to be considered a Top Safety Pick, the 2014 Spark needed to achieve the highest possible “good” score on the moderate overlap front, side, roof strength, and head restraints tests, while also scoring an “acceptable” score on the new small overlap test. 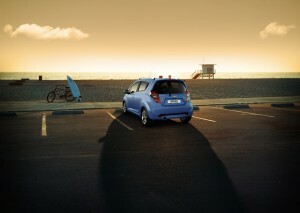 The 2014 Chevrolet Spark was named a Top Safety Pick by the IIHS. With a short wheelbase of only 93.5 inches, the Spark design team resorted to using a stronger front-end structure than ever before, allowing it to better absorb the impact when a crash occurs. Over 62% of the car’s under body is lightweight, high-strength steels, while 42% of its upper body is made of the material. Along with this high-strength body, the 2014 Chevrolet Spark has a rollover sensing system, driver and passenger front knee airbags, and a multitude of other safety technologies, making it no surprise that the Spark was the first minicar to receive the IIHS Top Safety Pick rating. The 2014 all-new Chevrolet Malibu is available now for test drive and purchase from Bradshaw Chevrolet Buick GMC Cadillac of Greer, SC! 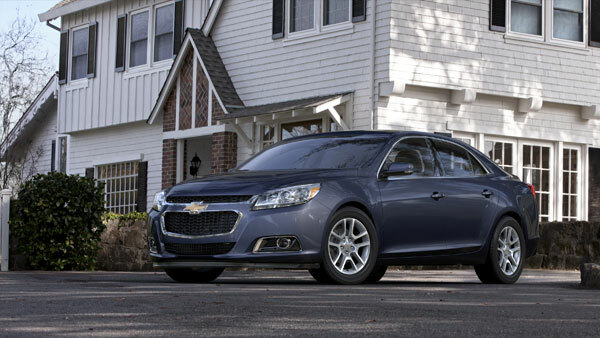 The 2014 Chevrolet Malibu is available now from Bradshaw Chevrolet Buick GMC Cadillac of Greer, SC. Receiving a variety of updated and changes for 2014, including a new center console, increased rear seat legroom, a tweaked exterior design and an engine start-stop system for an average fuel economy boost; the Chevrolet Malibu maintains its status this year as a reliable and safe mid-size sedan. Available this year in four trims and offering great features like MyLink, OnStar and Stabilitrak, the 2014 Chevrolet Malibu will surprise drivers with its upscale interior feel and smooth handling at an affordable price. For more information about the new 2014 Chevrolet Malibu sedan, including specs, safety features and available options, visit Chevrolet’s website. Bradshaw Chevrolet Buick GMC Cadillac is thrilled to offer the new Chevrolet Malibu as part of our wide selection of new GM cars, which also includes the 2014 Chevy Camaro, Cadillac Escalade and GMC Sierra! Visit bradshaw online to learn more about our Greer, South Carolina dealership, which also provides a great variety of used cars in many makes and models. Be sure to stay tuned to our blog for more new vehicle information! You can also check out Bradshaw Chevrolet Buick GMC Cadillac on Facebook for more dealership information and GM News in the Upstate South Carolina area! General Motors is saying goodbye to chairman and CEO Dan Akerson, who has decided to step down to support his wife who was recently diagnosed with an advanced stage of cancer. Akerson will be remembered as the leader who guided the company to record profits and significant improvement in vehicle quality while also ending government ownership in GM. The Board of Directors has elected Mary Barra and Theodore Solso to replace him as GM CEO and chairman, respectively. Barra brings 33 years of experience with GM to the table as well as a wealth of knowledge in the fields of manufacturing and engineering. She currently serves as executive vice president of Global Product Development and Purchasing and Supply Chain. Solso has been a member of the GM Board since June 2012 and already has experience as chairman as the former chairman and CEO of Cummins, Inc., a Fortune 500 company that specializes in heavy equipment. At Bradshaw Chevrolet Buick GMC Cadillac of Greer, SC, we have no doubt that Barra and Solso will deliver the same level of quality and commitment that Akerson has achieved so far. We look forward to seeing what they accomplish, and to seeing you at our dealership!